The latest additions to the speaker lineup will be bringing in insights from a wide variety of backgrounds, such as the Ushuaïa club, Guns N' Roses, and the early days of the Black Eyed Peas. With recent announcements from China and South Korea at the Guesthouse and the new The Record Bag Of concept at Soundlab, ADE 2018's conference program is rapidly becoming more fascinating and stimulating - and we're happy to announce three more participants for ADE Pro and ADE Tech to add to the excitement. First, delivering a keynote speech for ADE Pro will be Yann Pissenem from The Night League, Ushuaïa and Hï Ibiza. Nobody in club music should need to be told how much the Ushuaïa club and brand have encapsulated the upmarket 21st century developments in Ibiza's cultural life, and since opening last summer, the brand new superclub Hï Ibiza has itself added a whole new dimension to that culture. Meanwhile, The Night League operate behind the scenes of all this: an entire creative team with Yann at the helm, overseeing every aspect of the clubs' existence. We cannot wait to hear his insights into the intersection between art, architecture, commerce, culture and music around which these epoch-defining clubs have been built. Merck Mercuriadis, meanwhile, will have no shortage of insights himself in his keynote speech. 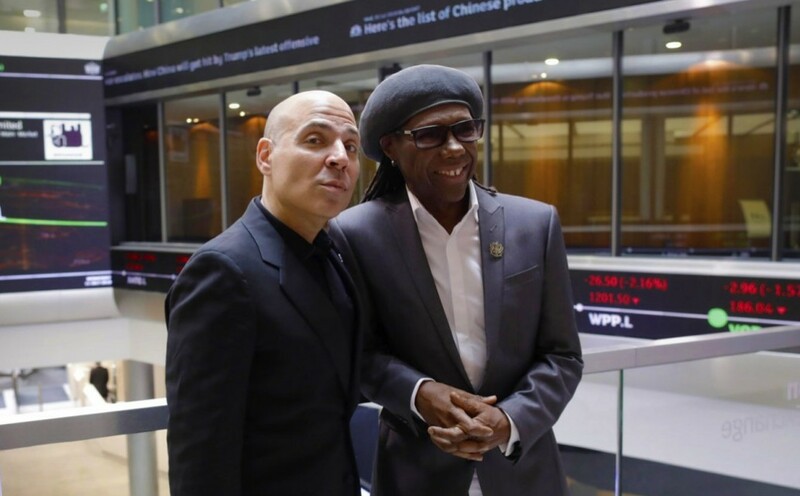 As a former manager of Beyoncé and Guns N' Roses, and still managing Nile Rodgers, you can imagine he's seen every aspect of the music industry from pretty much every angle. All of which has led him to his latest venture, Hipgnosis Songs: a music investment company that aims to create a new model, somewhere between fund management and traditional publishing, with over $260,000,000 already raised to acquire hit songs for its portfolio. At a time when seismic changes in the way we consume music – most notably streaming – are shifting the ways that tracks generate royalties, someone this heavily invested in the business (in every sense!) will certainly possess knowledge that everyone can benefit from. Finally, and just as impressively, we're thrilled that Polo Molina will be participating in ADE Tech this year. From success as a high school party promoter onwards, Polo has been part of the fabric of Los Angeles' music culture, then America's, and then the world's. Polo was part of the formation of the global force that is the Black Eyed Peas – the members of the band were his childhood friends – and through managing them, he's become an industry powerhouse, now representing will.i.am, Afrojack, Tyga, Snow Tha Product, and many more, with his company Grassroots Music celebrating its 25th birthday this year. But he's still moving forward, now involved heavily in tech and investment, as well as philanthropy: never forgetting his home, he's using the lessons from all of this and the music world to help the low-income areas of Los Angeles. ADE Pro and ADE Tech are accessible for ADE Pass and ADE Conference Pass holders, available here. Single tickets for ADE Tech are available here.